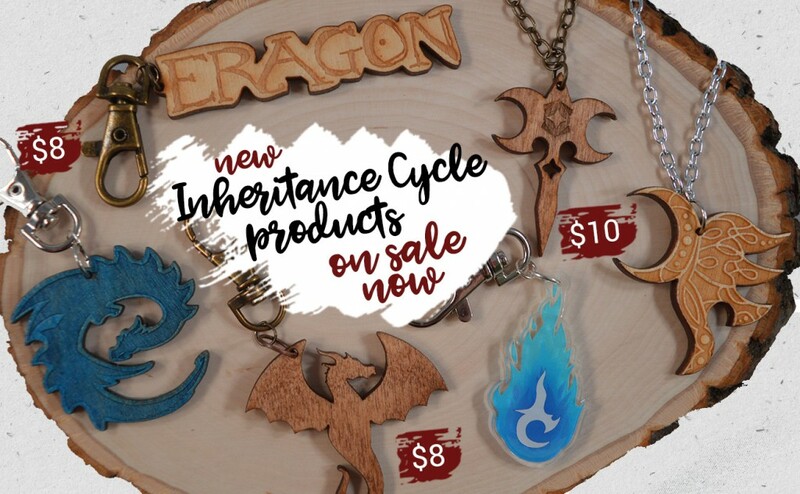 Our annual Ten Days of Inheritance Cycle Giveaways ended on January 11th and we’re now thrilled to announce the winners of the event’s prizes! Day one (Autographed Inheritance paperback) winner: Erika J. L.
Day two (Yawë keychain) winner: Liam S.
Day three (Autographed Official Eragon Coloring Book) winner: Sara S.
Day five (Dragons of Alagaësia bookmark set) winner: Rena L.
Day six (Autographed Map of Alagaësia art print) winner: Justin D.
Day seven (Brisingr keychain) winner: Luke D.
Day eight (“Pages of Inheritance” bookmark set) winner: Tiffany A. L.
Day nine (Inheritance Cycle autograph pack) winner: Lilas F.
Day ten (Autographed Inheritance Cycle box set) winner: Kaitlyn R.
Didn’t win a prize you were hoping for? 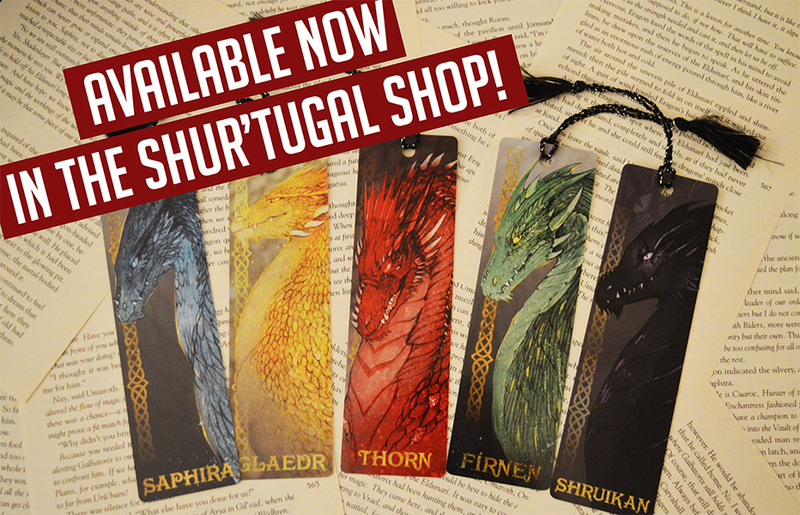 Many of these items are available through the Shur’tugal Shop, including the Five Dragons of Alagaësia and Pages of Inheritance bookmark sets, as well as our Zar’roc, Yawë, and Brisingr keychains! Prizes will be automatically mailed to the address provided by the winner. Prizes may take up to 4 weeks to be mailed out.